The comic book character named "POGO"
In 1941, Walt Kelly (1913-1973) created the “Pogo the possum” and “Albert the alligator” cartoon characters. The American comic strip remained very popular from 1949 to 1975. At its peak Pogo appeared in nearly 500 newspapers in 14 countries. 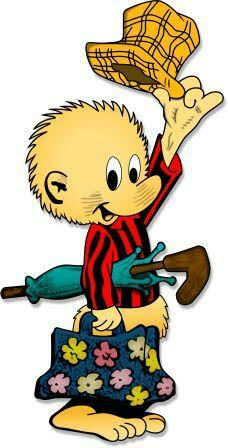 Approximately 30 million copies of books about Pogo and his friends were sold. The action is set in a southeastern United States swamp and describes the adventures of its human-like funny animal characters. Using lushly detailed artwork, Pogo combined sophisticated wit and slapstick comedy in a heady mix of allegory, Irish poetry, literary whimsy, puns, wordplay and broad burlesque humour. The same series of strips were enjoyed on different levels by both young children and savvy adults. It is not known exactly why the name Pogo was given to HMCS Labrador’s sounding boat. However we know that the much publicised Cold War was raging between the Soviet Union and America at the time the Labrador was launched and that her mission was directly related to the war. 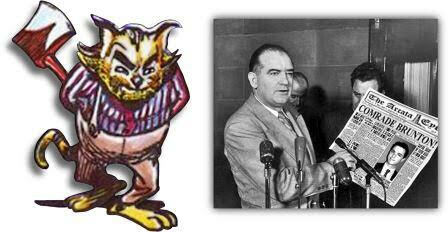 Also, in 1953, Kelly’s courageous act attracted much attention when he introduced a caricature (Simple Jo Malarkey) of the very public and powerful Senator Joseph McCarthy in his Pogo comic strip. This allowed him to satirise the views of the senator who believed in widespread communist subversion in the United States. The senator was discredited and censored by the Senate in 1954 for his unsubstantiated claims.